Spending on Education is set to be reduced by $14.7million in the 2018/19 Budget tabled by the Minister of Finance, Sili Epa Tuioti, in Parliament yesterday. The $932.92million budget was presented by the Minister for the first reading during a brief Parliament session at their makeshift complex at Tuana’imato, before they broke off for the celebration of Samoa’s 56th Independence Day on Friday. Compared to $100.3million allocated to Education last year, this year’s allocation is $85.6million. The Health Sector though is one of the winners, with a combined allocation for the Ministry of Health and National Health Services totaling $91.85million. 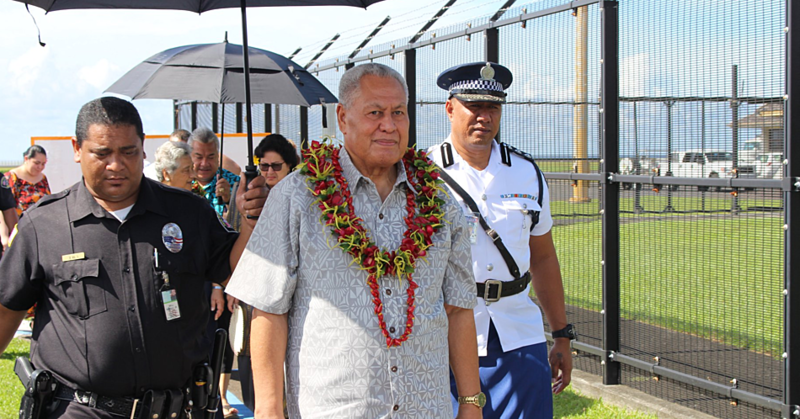 But the biggest expenditure that’s glaringly obvious, which was not part of last year’s budget consideration, is $11.0 million allocated for the hosting of the Pacific Games in 2019. With total Revenues estimated at $849.48million, a deficit of $85.44million is forecasted. The Minister also emphasized the importance of public sector reform. “This would mean streamlining and simplifying procedures and monitoring and reporting requirements – reducing the costs which Ministries face in working in 'the old ways'." Mr Speaker, In charting our course for the next financial year, we have to look back and take stock of our economic performance over the recent past. I am pleased to report that the Samoan economy continues to demonstrate resilience against a background of multiple external shocks. Real G.D.P. growth peaked at above 7 percent in 2015/16, underpinned by the sharp improvement in the fishing industry as well as the completion of new hotels and two major sporting events, the Commonwealth Youth Games and the rugby match between the Manu Samoa and the All Blacks. Growth normalized in 2016/17 growing at 2.5 percent. The sound economic performance was the direct result of consolidating our public finances and keeping expenditure under control. At this backdrop, the current monetary policy has been accommodative providing a conducive economic environment of low inflation below its medium term target. Foreign reserves remain adequate and the exchange rate was broadly in line with current conditions. This was confirmed by the I.M.F. during the Article IV Consultation with government earlier this year. This demonstrates that the policies we announced and implemented in the past few years is generating positive results and therefore allow the fiscal space for the government to provide the services demanded by our people. During fiscal year 2017/18, the government implemented the findings of the revenue reforms with the aim of raising additional revenues to finance priority investments in infrastructure, education and health while at the same time maintaining fiscal responsibility. Mr Speaker, Over the medium term, growth remains robust and is projected to moderate to 1.8 percent in 2017/18, due to the negative impact of the closure of the Yazaki manufacturing plant in August last year. Growth is expected to rebound to 3.3 percent in 2018/19, as the two new businesses occupying the old Yazaki building scale up operations and several infrastructure projects, including new bridges, road extensions, and the new terminal building are completed. 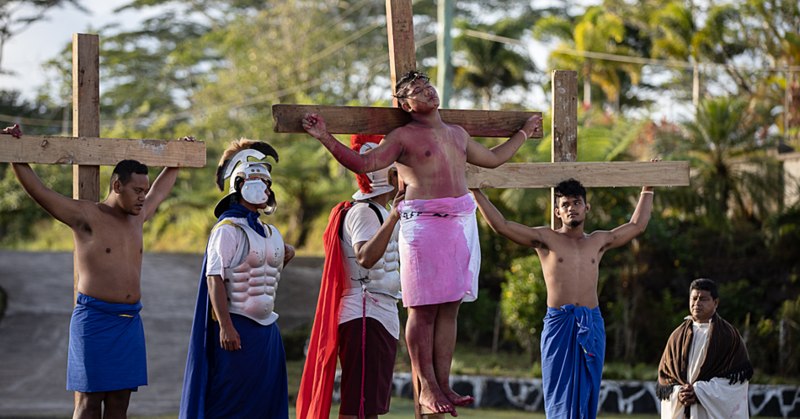 In 2019/20, growth is projected to increase to 3.7 percent, driven by tourism related sectors as Samoa hosts the Pacific Games in July 2019. Mr Speaker, As you can see, the future outlook is positive and encouraging for the economy and our people. At the policy level government will continue to implement strategies that will generate opportunities for our people so they can enjoy a happy and secured future. At the same time appropriate fiscal and monetary policies will continue, to underpin a stable macroeconomic framework. Notwithstanding the positive outlook, we need to be vigilant at all times to minimize Samoa’s exposure to a number of risks. We are highly vulnerable to climate change and natural disasters, which can cause significant damage and therefore put pressure on government debt. As well, the partial withdrawal of C.B.R.’s by global and regional banks, could disrupt the inflow of remittances to Samoa. We therefore need to continue to be prudent in the way we manage the economy and our future going forward. The first responsibility of the Government is to be fiscally responsible. That is, spending within our means. We cannot build a stronger and sustainable future for Samoa by spending money we do not have. This Budget continues the Government’s commitment to fiscal responsibility. The S.D.S. set a deficit target ceiling of 3.5% of G.D.P. This Budget meets that target, but the Government remains committed to reducing the deficit further in coming years. The actual budget deficit to GDP rates for 2015/16 and 2016/17 were 0.4% and 1.1% respectively. To achieve this, we must continue to keep a tight rein on spending and ensure that we raise the revenue we need through fair and equitable taxation arrangements. Mr Speaker, Any Budget requires difficult choices to be made. The Government has to strike the right balance between strengthening programs and services for the here and now, and building for the future. We need to strike the right balance between the often competing priorities that different groups in the community hold. And all this must be done while maintaining fiscal responsibility. We cannot strengthen service delivery for people today or build for a better tomorrow if we are financially irresponsible. The theme for this Budget is therefore “The Right Path”. By this we mean that the Budget seeks to strike the right balance between all these competing priorities and demands; to ensure we are doing whatever we can to respond to the needs of our community to have access to essential services, to improve opportunity for people, and to build for our future. And to do this in a way that is fiscally responsible and sustainable. In this Budget, “The Right Path” is a continuation of the course we have set over recent years; a course that responds to the community’s aspirations here and now, while at the same time strengthening our foundations for tomorrow. Mr Speaker, Honourable Members will recall that a key feature of the Budget last year was a comprehensive Revenue Review which addressed the need to strengthen domestic resource mobilization and particularly to do so with the objective of promoting greater equity in our tax system. A number of measures were introduced which would, in the medium term both improve our overall revenue collections, and ensure that the community was treated equitably and fairly. Mr. Speaker, In this Budget, the Government is not proposing a range of new taxation measures. Rather we believe we need to redouble our efforts to improve compliance – to ensure that people and businesses pay the amounts of tax they are required by law to pay. We do not want to place an additional burden on ordinary taxpayers just to make up the shortfall in revenue from those who are not paying or are unwilling to pay their fair share. In the last Budget the Government indicated that it was reviewing Education and Health sectors to ensure that our priorities were right and that expenditure in these sectors was focussed on improving equitable access to these essential services and delivering the strongest possible outcomes. These reviews have now been undertaken. They confirm that, across the board, we are doing well and seeing improvements. But areas for further improvement have been identified and we are now developing appropriate policies to address these opportunities for improvement. The review of Samoa’s performance in Education has concluded that we are doing well. Samoa is one of the best performing countries in the Pacific region on many indicators. But we can do better and some new priorities need to be addressed. In this Budget we are making provision for further initiatives to support Early Childhood Education across Samoa. There is good evidence that children with access to early childhood education programmes perform better in their subsequent schooling. This priority will be supported by re-balancing the funding provided to other sectors and possibly with additional support from development partners. We are similarly looking carefully at the balance in our support for primary and secondary education to ensure that we get the best outcomes from the funding envelope available. In recent Budgets the Government has emphasised its commitment to providing the best possible service delivery across all parts of Samoa and strengthening equity. Our review of the Education sector has indicated that some areas are better serviced than others in such things as pupil/teacher ratios. We will address these apparent weaknesses in line with our commitment to ensuring more equitable access to education. The Government recognises that improving teacher qualifications is an essential part of continuing to strengthen education outcomes for our children. We need to provide support to the widest possible number of teachers seeking to improve their qualifications, and we have made some changes in this area by introducing a Teachers’ Higher Education Funding Scheme which will include a “loan” component. This Budget maintains the Government’s commitment to Education. Supporting Education is an investment in Samoa’s future. All Samoans will want us to ensure that money is spent on those things which will improve the access to and the quality of education for our children. The review we have undertaken has pointed the way to strengthen our investment and this budget takes the first steps in that direction. Health has been a key priority of successive Budgets. Our review of the Health sector has concluded that Samoa performs well on high level health indicators, and that these have continued to improve over recent years. But the review has also pointed to opportunities for improvement which we will address. To ensure that we spend in areas that directly benefit the community to the greatest possible extent, the Government has decided that the NHS will be merged with the Ministry of Health. This will help contain the costs of administration, improve coordination and ensure duplication and overlaps are minimised. The Government recognises that this merger will impact on many people working in the Health sector, such as doctors and nurses. We acknowledge the important contribution these dedicated people make in delivering health services and we will work to ensure the merger involves minimum disruption for these highly valued employees. But we need to move forward. Having taken the decision to merge, the Government recognises that not everything can be done at once. It will take time to work through the actions needed. We will accordingly provide for a transitional period to enable these things to be done in an informed and orderly way. It will be a matter for the Ministry of Health to determine, but the transitional period is likely to be up to 3 years. The Government’s key priority for Health is to provide the best possible access to primary health care in the areas where people live across Samoa. The Budget allocations for health over recent years have been maintained, and there is very limited capacity for further increases. This means that we will have to re-balance our spending if we are to support new priorities. This principally means that we will need to shift some resources from specialised tertiary care towards primary health care and preventive health services – take health services to people where they live. This shift has implications for health care workers and for health infrastructure and will not happen overnight. But that is the direction we need to go. Our review has identified the growing incidence of Non Communicable Diseases as the most significant threat to the health of our people and is a critical health issue now, and into the future. We will continue to address this, including through targeted community based health promotion and disease prevention. Our focus on making primary health care more accessible will support this. Child and maternal health and better vaccination rates will continue to be areas of priority. We are actively working with development partners to strengthen our efforts in these areas. In previous Budgets the Government has placed considerable emphasis on public sector reform. Put simply, we must strive for the most efficient and effective public sector possible. Every tala spent on paying public servants is a tala we do not have to provide for schools or health centres. So every tala counts! We have seen progress over the years, but we can and must do better. In our Budget Statement two years ago, we spoke about the ways in which technology is making it possible for us to greatly improve efficiency. Let me repeat some of what we said then. “With Ministries and Agencies having widespread and increasing access to improved technology we can and should expect and demand greater productivity and efficiency. Times have changed and ways of working have changed. Our public sector employees now work with computers, not typewriters and note books; through emails, not letters and memos; they use the internet, not libraries; they communicate with mobile phones; they use power tools and heavy machinery, not hand tools.” The key message is that we can and should do more with less because we now increasingly have better technology to support us and better ways of working. If we do not make the best use of new technology to improve efficiency and if we continue to do things the way “we have always done things”, we are just wasting money. That would not be seen as acceptable to our people. It would certainly not be acceptable to the Government. We have taken a number of initiatives to support and strengthen public sector reform. These all have the aim of reducing the cost of the public sector so that we can direct our resources to the benefit of the wider community. We have some way to go. We have heard messages from the community that some areas within the public sector are too slow, too process-driven, sometimes unhelpful, unresponsive and difficult to deal with, and unnecessarily slow to make payments to suppliers. This is not the kind of reputation that we should tolerate. The term Public Service means just that. Its role is to provide service to the community – the best possible service at all times. At the present time, a review is underway into the role and functions of the Public Service Commission. The Government sees the key function of the Commission as being to support the wider public sector to perform better. We are moving to look at my own Ministry, the Ministry of Finance, to identify better and more flexible ways of supporting Ministries in the best use of their Budget appropriations. This would mean streamlining and simplifying procedures and monitoring and reporting requirements – reducing the costs which Ministries face in working in “the old ways”. We believe giving CEOs greater flexibility to manage their Ministries, and supporting and encouraging innovative thinking can contribute to stronger outcomes and increased efficiencies. Of course, this will also be accompanied by strong accountability requirements. CEOs will be held accountable for delivering outcomes in line with the expectations the Government has set. The 2018/19 financial year Main Estimates is expected to record an overall fiscal deficit of approximately $83.44million maintaining the Government’s commitment to a fiscal target within 3.5% of G.D.P. Despite this estimate, Government is committed to ensuring macroeconomic stability underpinned by a lower fiscal deficit is maintained. The past two financial years 2015/16 and 2016/17 recorded deficit levels of 0.4% and 1.1% respectively. Total Domestic Revenue is expected to remain relatively the same at $626.3million. • 10% increase in Dividend payments from State Owned Enterprises. • A 10% increase in collections by the Immigration is also anticipated as a result of the marginal increase in fees actioned in the current financial year combined with an increase in demand for travel documentations. • A 5% increase is also anticipated in the collection of non tax revenues by the Ministry for Revenue as a result stricter enforcement of border compliance monitoring. 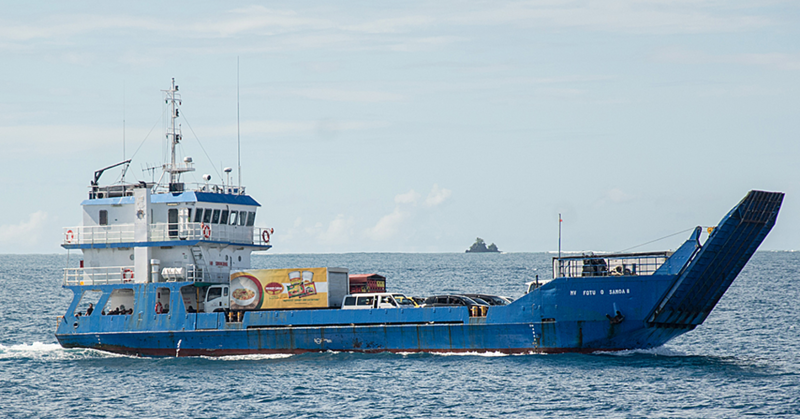 Grants are expected to drop by 8.4% reflecting the winding down of a number of projects in the transport, agriculture and aviation sectors as well as the completion of the Power Sector Expansion Project and the Tui Samoa Cable Project within the current financial year. While several new projects will be implemented in 2018/19, the total cost of these projects will be lower than the level of investments in the current year. The total expenditures for Government in 2018/19 is expected to be $932.9million, 1.7% lower than current year due primarily to a 16% drop in development expenditures affected by the winding down and completion of the projects implemented during the current year. The expenditure Programs for Ministries in 2018/19 will increase by 5% above the current year’s total of $520.95million. The biggest new initiative to be implemented in the next financial year is the Pacific Games that Samoa will host in July 2019. A total of $11.0 million is earmarked for this purpose. This is a significant amount which would have been available for education, health and even infrastructure if it weren’t for the Pacific Games. But the Government has made the decision to host the Games which hopefully will lift the performance of our athletes. It is also expected the Games will contribute positively to G.D.P. as a significant amount of resources will be directed at infrastructure development in preparation for the Games. • $300,000 to support Women In Business Development Incorporated. • $178,000 for the Apprenticeship Program. • $442,000 for the annual Teuila Festival, Miss Samoa Pageant and the Miss Pacific Islands Pageant. 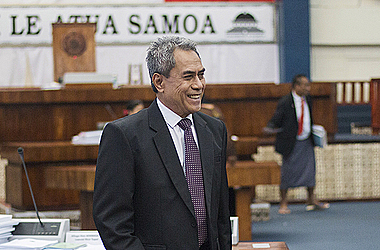 • $8.7million including $5million for the management of the Samoa National Broadband Highway. • $1million for the Teachers’ Higher Education Funding Scheme. • $13.2million includes $900,000 for a building to house the new container scanner machine to ensure strict customs border compliance at the Apia Port. •6th ACP Fisheries and Agricultural Meeting. • $120,000 support for the Samoa Red Cross, Samoa Cancer Society and the Samoa Aids Foundation. • $1.6million for patient bulk food supplies. Tanumalala Prison including road construction and water supply. • $2.6million for Land Compensations. • $910,325 for Aviation initiatives as part of the Safety and Security Levy framework. • $3.6million for drainages works under the Water for Life Sector Plan. The total estimated appropriation for Unforeseen expenditures based on the total expenditure programs of Government for 2018/19 is $16.4million. • $5.4milion assistance for the Health Sector for the EHealth System, Pharmaceuticals Inventory System and others. Mr. Speaker, The Government is also proposing to table a Second Supplementary Budget for the financial year 2017/18. The supplementary budget is cost neutral as it will be funded from the reallocation of existing resources. Mr. Speaker and Honourable Members, As I stated earlier, there is positive optimism in the economy over the medium term. It means businesses will enjoy an environment that creates opportunities for them to grow and to help create jobs for our people. It also means there will be fiscal space for government to provide the services required by our people. But we should never lose sight of the fact that Samoa faces a number of risks. That underscores the need for the government to continue to put in place the policy framework that will ensure macroeconomic stability and fiscally responsible. The Budget continues the Government’s commitment to improve the quality of life for all Samoans and continues its commitment to equity – this is important not only for the present but also as an essential foundation for the future. It is essential to maintain consistency in direction and effort to achieve sustainable longer term progress. I would like to acknowledge with much appreciation the support and generosity of all our Development Partners whose ongoing technical assistance programmes continue to play a critical role in Samoa’s development. We appreciate your willingness to partner with us and to support our endeavours to provide a future prosperity for our people. Faafetai Tele Lava! In closing, I would like to thank all the citizens of our country for their support in whatever role they have contributed to the development of our country. I wish everyone an enjoyable 56th Year of Independence. Mr. Speaker, I commend the 2018/19 Budget to the House. Soifua.